At Euroffice, we stock a fantastic range of whiteboard pens so you don’t need to worry about running out anytime soon. 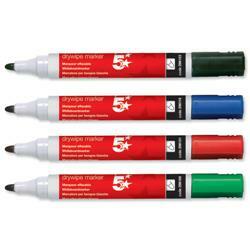 With an array of colours and brands to choose from such as 5 Star, Bic and Nobo, our dry erase markers and whiteboard pens are suitable for a range whiteboards. 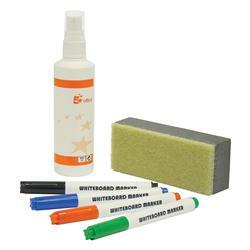 Ideal for meetings and conferences stock up on your whiteboard essentials including cleaning fluid and drywipe erasers. If whiteboards aren’t your thing, check out the range of flipcharts and flipchart pens, all available online.